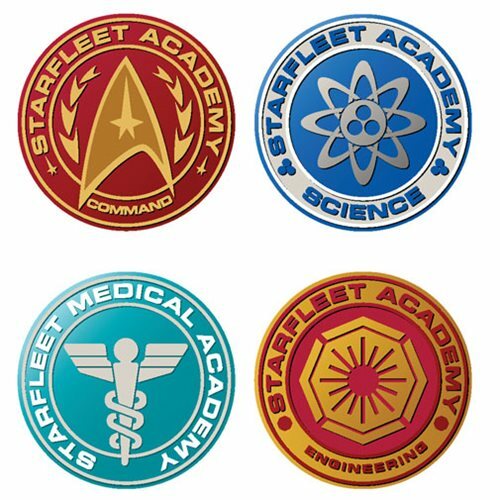 You'll see these in the mess hall and dorm rooms at Star Fleet Academy, if you're fortunate to be selected. Otherwise, your best shot is to order this Star Trek: The Next Generation Shaped Coaster 4-Pack. Featuring bold and bright designs of the Medical, Engineering, Science, and Command divisions, they're made of wood with a cork backing and measure about 4-inches square. Wipe clean with a damp cloth.